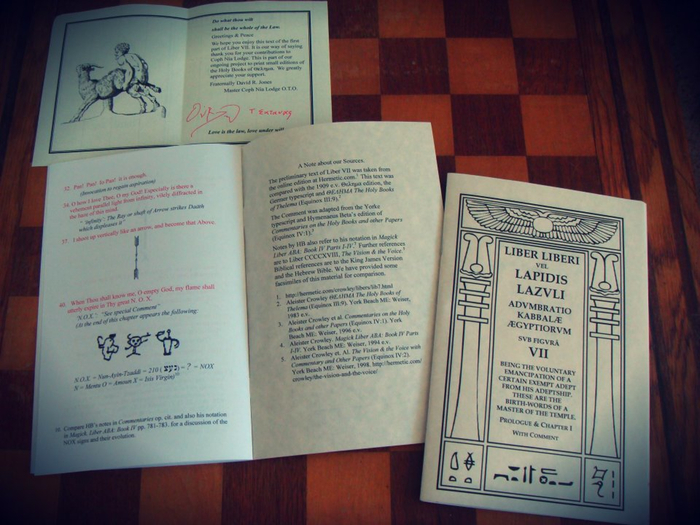 I just added some images of the first three Coph Nia editions of the Holy Books of Thelema, with commentaries, to the visual pool. So far, they are Liber B vel Magi and Liber Liberi vel Lapidis Lazuli chapter I & chapter II. I thought people might be interested in taking a look. I did mention Coph Nia’s edition of Liber VII, pt 1 when I got it a while back, but I thought I’d post again now that the next in the series has arrived. Coph Nia, a local body of Ordo Templi Orientis in the valley of Eugene, OR, has started issuing a small number of pamphlets which contain Class A technical libri by Aleister Crowley along with comment and notes. The text of the technical libri are taken, of course, from the excellent versions online at the Hermetic Library, but are supplemented with a variety of additional commentary, which come variously from sources such as Equinox IV, I as well as from otherwise unpublished papers and notes. These works are being curated by the team at Coph Nia, which includes Hermetic Library fellow David R Jones. This entry was posted in Hermetic Library visual, The Libri of Aleister Crowley, Thelema and tagged aleister crowley, book, book 1, book 7, coph nia, holy books, lapidis lazuli, Liber B vel Magi, Liber I, Liber VII, libers, libri, thelema on June 6, 2012 by John Griogair Bell. The reason I mention this is several-fold. Primarily, it’s just kinda cool that the record was added, right? Also, having one of the Technical Libri cataloged is a very interesting development because this appears to be the very first item from the Hermetic Library added to the catalog at Goodreads. Further, because I was listed as an editor correcting and editing the text for presentation at the library, I have now ended up with an author profile at Goodreads. So, this now raises some interesting possibilities. Let me be clear: I am not one to spend a lot of time asking people to promote the library by mostly meaningless shout-outs for more likes and clicks and followers who don’t actually use the site. Such activities that campaign for numbers are attention seeking distractions from the great materials on the site. Instead of seeking attention for having sought attention, I try to get attention that is focused on the actual materials being offered by the site. I do both very much welcome and rely on the organic development of support and word of mouth from people like you who actually use the site, people like you who find the materials useful, people like you who decide for yourselves that you want to tell other people about the Hermetic Library. I always value most the feedback of real people who actually use the site, and am constantly glad to be of service collecting, curating and creating materials for the site, but in doing that I just won’t get into some transparently shallow, and desperate for attention, game of numbers for the sake of numbers themselves. But, here is something very real: having a record for materials at the library appear in the catalog at Goodreads is a new opportunity for the Hermetic Library and for you, as someone who really uses the site, to help others find the fantastic and broad selection of materials available. Perhaps you would consider, as you are gandering at something on the site you find valuable, adding an entry for that material as it appears at the Hermetic Library into the catalog at Goodreads? You can use the example provided by the entry for Liber Astarte vel Berylli to help know what to add. Do be sure you check if the work is already in the catalog, but you can add records by heading to the Add a New Book page. For my part, I’m also considering ways that the new author profile I’ve ended up with might be used to help promote the materials at the library. If I can determine a good way, which for me means something that I feel is sensible, ethical and aesthetic, to use the author profile at Goodreads to promote the library then I’ll definitely do that. As I mentioned in a post previously, I try to engage on behalf of the Hermetic Library on social networks in ways that make sense to me and for me as long as they fit with the overall mission of the library and fit within my workflow. But, thanks to having an author profile at Goodreads, and thanks to the person who added the record for the material, a few new tools are open for my use that I otherwise wouldn’t have available. After all, the mission of Goodreads “is to help people find and share books they love. Along the way, we plan to improve the process of reading and learning throughout the world” [via]. So, why not help share the materials at the library so other people around the world can find them even easier than before? By the by, while looking at the pages for this liber, as it appeared on the site, I also ended up making several corrections and updates. So, you may want to also take a gander at it if you haven’t done so in a while. I don’t normally post about the many little updates and corrections I end up making, but since these changes are related to this post I’m mentioning them now. However, I do want to point out that while I constantly do my own work at finding mistakes and correcting them on the site, I do appreciate it when someone is kind enough to send me an email pointing out something specific that is in need of my attention. So, in conclusion, I’ll just mention that if you ever do find something amiss on the site, feel free to contact me. This entry was posted in Support the library, The Hermetic Library, The Libri of Aleister Crowley, The Opinion Pages and tagged 2012, aleister crowley, astarte, author profile, book 175, book recommendations, equinox, goodreads, hermetic library, liber berylli, liber clxxv, libers, libri, possibilities, word of mouth on May 7, 2012 by John Griogair Bell. I’ve had a chance to check out the first issue of these pamphlets, which was for Liber B vel Magi sub figura I, and think they are quite well done. It is especially nice to have not only the text, but the comment and notes handily available together. This entry was posted in The Enochian and Thelemic Works of David Richard Jones, The Libri of Aleister Crowley and tagged aleister crowley, book 1, book 7, comment, coph nia, David Richard Jones, Liber B vel Magi, Liber I, Liber Liberi vel Lapis Lazuli, Liber VII, libers, libri, ordo templi orientis on April 30, 2012 by John Griogair Bell. 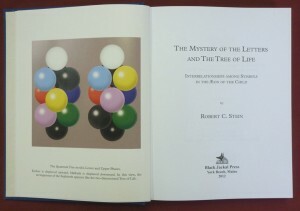 You may be interested in The Mystery of the Letters and The Tree of Life by Robert C. Stein, available from Weiser Antiquarian Books. “The Mystery of the Letters and The Tree of Life is an important new contribution to Thelemic studies. It begins with an examination and analysis of the “Class A” texts of the Thelemic canon, with special emphasis on the manuscript and symbolism of The Book of the Law. The author, Robert Stein, reminds us that the prophet of Thelema, Aleister Crowley, declared that the manuscript of The Book of the Law (Liber XXXI) was unequivocally the first and final authority above all other Thelemic literature. He surveys the mysteries and questions it poses, and encourages his readers not just to rely on a typeset version of the text, but also to study a copy of the manuscript, so as to derive a direct and personal understanding from it. He then examines the symbolism of Thelema by comparison to archetypal messages expressed historically through god-forms, kabalah, trigrams (I Ching), Tree of Life models, and alphabets. Stein further proposes a three-dimensional Tree of Life, relates it to Tarot and the paths in Liber 231. The model originates in Liber Trigrammaton and the Cube of Space, but while based on historical material, it approaches the symbolism from a fresh perspective. The Mystery of the Letters and The Tree of Life is not an “introductory work” or a “beginner’s guide,” but a serious and challenging study of a complex subject. I had the chance to attend a presentation by Bob Stein back in 2009 at the seventh National Ordo Templi Orientis Conference (NOTOCON VII), and he has some strong opinions and interesting ideas about the Book of the Law as it appears in both Liber CCXX (Book 220) and the original manuscript Liber XXXI (Book 31). In fact, that presentation was one of the reasons I decided to do my own transliteration of Liber XXXI for the library, and though I know the same had been done previously I avoided referencing Ash’s version until after I’d completed my own. Anyhow, if that presentation was any indication, if you’re interested in the subject matter, you’re going to find this new release an interesting read. 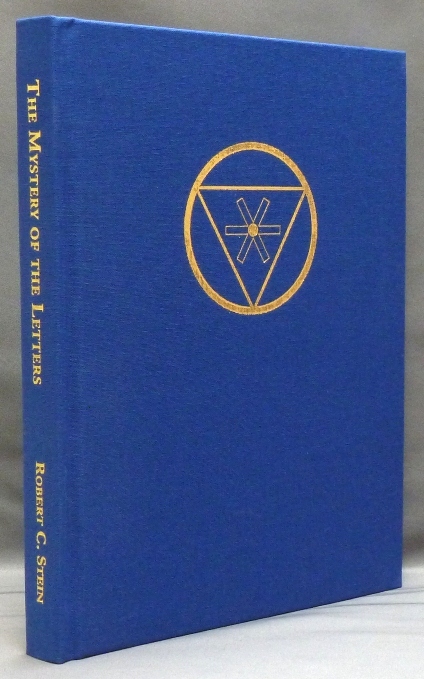 Commentary (ΜΖ) on ΚΕΦΑΛΗ ΜΖ Windmill-Words in Liber CCCXXXIII, The Book of Lies by Aleister Crowley. ΚΕΦΑΛΗ ΜΖ Windmill-Words in Liber CCCXXXIII, The Book of Lies by Aleister Crowley. “Homard à la Thermidor destroys the digestion.